Alongside rolling out new software updates to its only smartphone Poco F1, the sub-brand of Xiaomi, Poco is also adding new features to the Poco Launcher that is available for every Android smartphone on Google Play Store. The Poco Launcher for Android is now getting a Dark Mode which adds a dark background to the app drawer and launcher Settings page. In fact, Poco already added a dark mode to the Poco F1 with the latest beta update and Xiaomi is also said to be working on adding a dark mode to MIUI 10. Notably, Google is also reportedly testing Dark Mode on Android Q, so Xiaomi and Poco working on the same feature don’t surprise many. Besides the dark theme, the Poco Launcher also received a few bug fixes, crispier app icons and it even allows users to add custom apps to app vault shortcuts. One of the reasons why Poco Launcher shined when compared to the standard MIUI launcher is it comes with app drawer and offers several customisation features which are absent on the standard MIUI launcher. 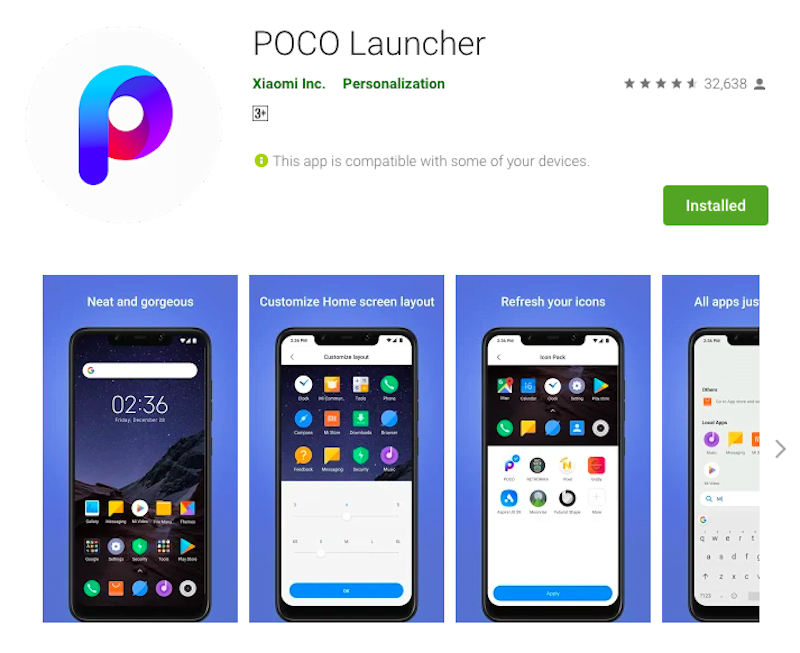 Furthermore, Poco did an excellent job by releasing the launcher app on Google Play Store so that even Xiaomi phone users can download it and use. That being said, it’s one of the best Android launcher apps available right now. The latest update which was released on March 29 brought several new features. First of all, the Poco Launcher now offers a Dark Theme option which can be enabled under Settings>More>Backgrounds and select the Dark colour. Poco also allows users to set a transparent background to complete a dark background for the app drawer. Poco Launcher users can now add custom apps to App Vault shortcuts which is one of the most requested features from the users. Also, Poco says that it has tuned the icons and they now look crispier and prettier. Alongside these new features, Poco has fixed a bunch of bugs; the first one on the list is the app icon bug with white background and the company also optimised the overall user experience. Released last year, Poco Launcher amassed one million installs via Google Play Store within just months. Later on, the app achieved two million downloads in January, and with the addition of new features every now and then, Poco Launcher has gained massive popularity. According to the Google Play Store, Poco Launcher has been installed more than five million times which is incredible for an app that was launched less than six months ago. Even several Xiaomi smartphone users including me have Poco Launcher installed thanks to the support for App Drawer and several other nifty features like the app icon customisation through third-party apps, group icons using colours and so on.